Sony is one of those smartphone companies that is trying to make a comeback in the smartphone market, but every time, the wrong pricing ruins everything. Still, we have seen some good phones from the company this year like the Sony’s first device with an OLED screen, the Xperia XZ3. It is a pretty good flagship considering the features, but the company hasn’t done the pricing so well. Anyways, the Sony Xperia XA3 will be launching soon as a mid-range smartphone, and as the name indicates, it is going to be a successor to this year’s Xperia XA2. Today, the CAD-based renders of the phone revealed the design from every angle. So, the Sony Xperia XA3 is going to be the first mid-range phone from Sony featuring an 18:9 display. The company is pretty late to the party, but it is good to see 18:9 screens on budget and mid-range phones from Sony (Finally!). The fingerprint scanner is moved to the side, again. It looks like Sony understood that its fans like the side-facing fingerprint scanner more than the rear-facing fingerprint scanner. Still, the fingerprint scanner on the side won’t work as a power button & the power button is placed separately on the side as well. 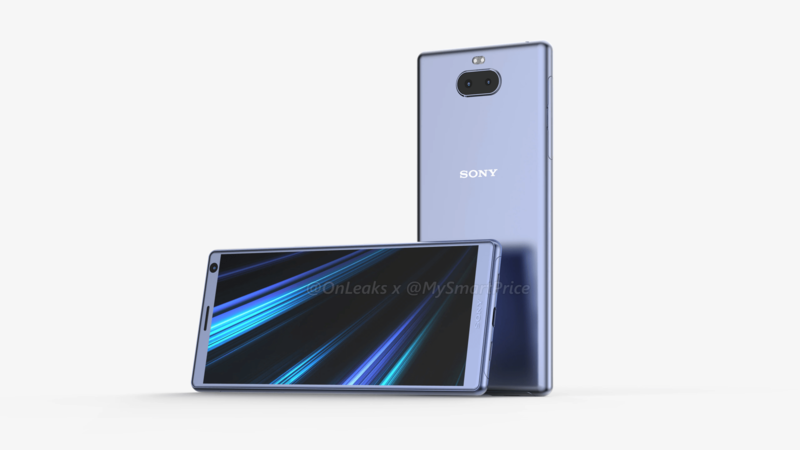 The renders don’t show any dedicated camera shutter button on the side, but we are hoping that Sony keeps it on the XA3 since it is one of the unique features of the Xperia phones. On the rear, the Sony Xperia XA3 has a dual camera setup and above it is the LED flash. The back looks clean with no Antenna lines and just the ‘Sony’ and ‘Xperia’ branding. The dimensions of the phone are 155.7 x 68.3 x 8.4mm (8.9mm with the camera bump). The USB Type-C port is placed on the bottom with two speaker grills. It would be nice to see stereo speakers on the Xperia XA3. The headphone jack is placed on the top. Talking about the rumoured specifications, the Sony Xperia XA3 might feature a Snapdragon 660 processor, up to 6GB RAM, Android Pie etc. There is no information about the launch date yet, but since the Xperia XA2 launched at the CES this year, we expect the Xperia XA3 to launch at the CES 2019.